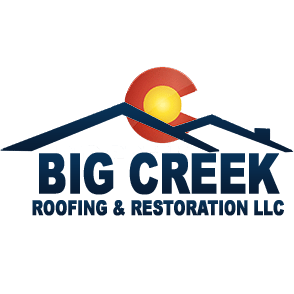 Big Creek Roofing & Restoration, LLC is a truly homegrown Colorado company. Originally founded 2001 as a father & son team, we believe Big Creek continues to grow and prosper because of our attention to detail, extensive and varied knowledge base, and focus on our clients as becoming part of our Big Creek family. Our experience and expertise range widely and encompass management in heavy civil, commercial & residential construction. Our primary focus at present is on exterior renovation & restoration including all types of roofing, siding, gutters, windows, & paint. Large commercial properties, including multi-family complexes, HOA’s, & commercial flat roofing are our specialty. While we certainly appreciate the large jobs, no job is too small as we believe all our clients should receive the highest standards of professionalism and quality workmanship. Colorado is our home and here we treat everyone like family. Please don’t hesitate to reach out for a free inspection and feel confident in knowing you’re in good hands with the team at Big Creek.